The Rosicrucian Order, AMORC e-book library is available for free online! We hope that you enjoy having this access to all of your favorite Rosicrucian publications and we would love it if you would consider posting a review on both Amazon and iBooks sharing with others the benefits that they might find in the timeless wisdom that this collection contains. The remaining AMORC titles will be added in the coming months so check back often! 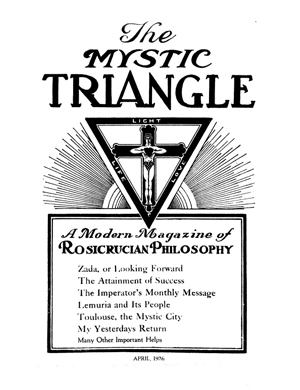 The forerunner to the Rosicrucian Digest from 1925 through 1929, Dr. H. Spencer Lewis published the Mystic Triangle which is now known as the Rosicrucian Digest. We are now happy to have all of the issues that were published scanned in and available as PDFs for your research and reading pleasure. The Rosicrucian World Convention in Sweden in August 2001 reflected a theme of world peace and harmony among all nations and peoples. 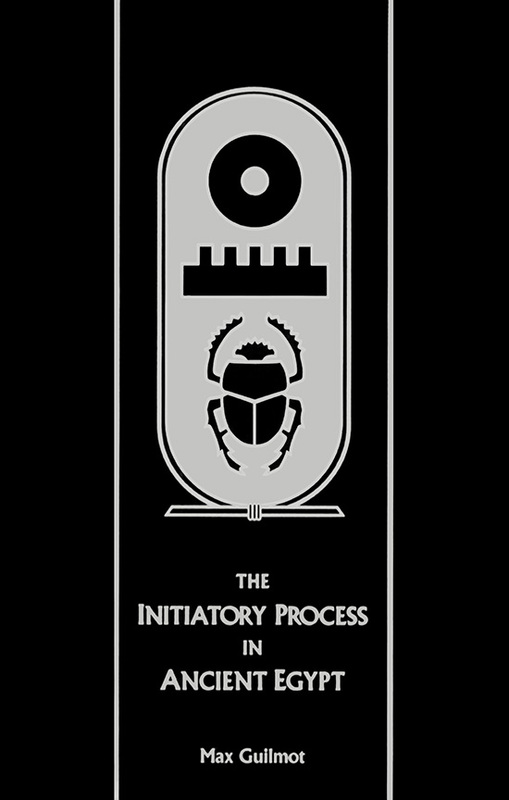 It was at this convention that Rosicrucian Imperator Christian Bernard introduced the Positio Fraternitatis Rosae Crucis, a document informing the public of AMORC’s position regarding today’s world situation, the dangers threatening it, and the future prospects we wish for all. We hope that you will read the Positio with an open mind and that it will strike a responsive chord within your consciousness. If you would like to make a donation to support the promotion of this publication, you may do so here: Donation Form. 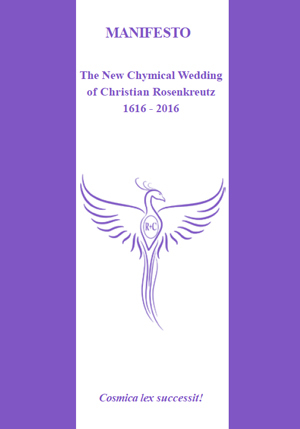 Inspired by the third Rosicrucian manifesto, the Chymical Wedding of Christian Rosenkreutz, published four hundred years ago, the anonymous author of this Rosicrucian manifesto (number six) leads us toward the vision of a better world through an alchemical dream. Between 1785 and 1788 an unknown Rosicrucian compiled text and images from earlier materials (1621, 1625 and 1700) that deal with Alchemy, Mysticism and other Rosicrucian themes. It was first published in two parts in Altona, Germany. A copy of this work was in the library of the Rosicrucian/Pietist mission to Pennsylvania that became the Ephrata Cloister. The present edition provides translations of the original German text, as well as reproducing the images, which are most suitable for meditation. 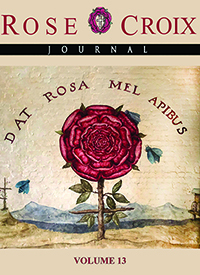 The Rose+Croix Journal is an international, interdisciplinary, transdisciplinary, peer-reviewed online journal that focuses on topics that relate to the sciences, history, the arts, mysticism, and spirituality, especially interdisciplinary topics and transdisciplinary inquiries that traverse and lie beyond the limits of different fields of study. These topics may relate to any of the arts and sciences and/or to other emerging fields of human endeavor.